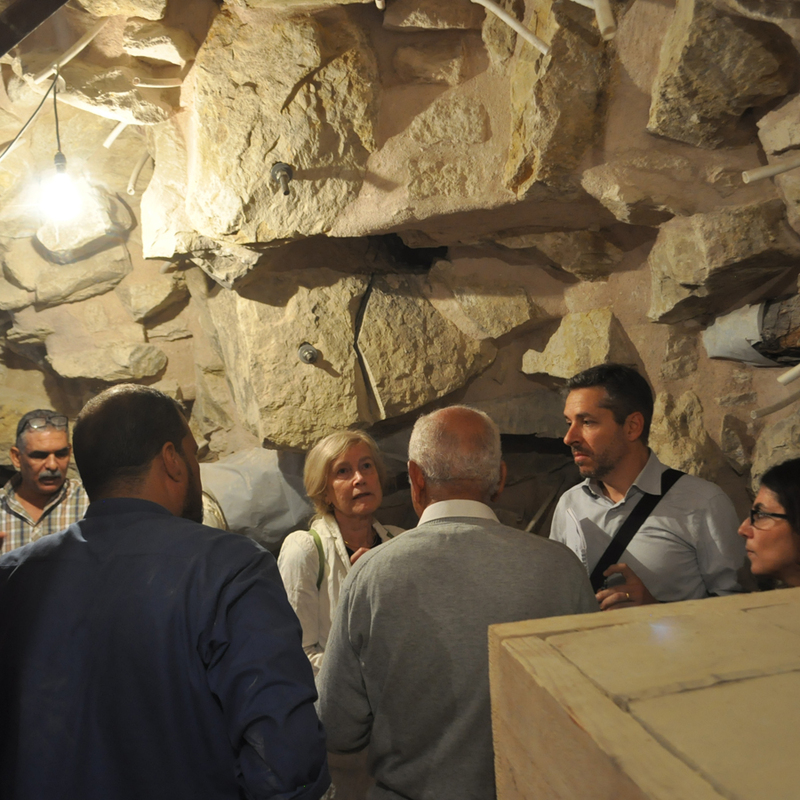 After two days touring the maze of alleys of Historic Cairo, inspecting its heritage monuments, a UNESCO delegation embarked today on a four-hour visit to Saqqara necropolis, where it toured Djoser's Step Pyramid, inside and outside, to check on restoration works being conducted there. The delegation ended its visit to Egypt this evening. Before leaving for Paris, delegation members met both Minister of Antiquities Mamdouh Eldamaty and Prime Minister Ibrahim Mahlab, to give their preliminary recommendations concerning encroachment on monuments in Historic Cairo and the restoration of the Step Pyramid in Saqqara. Their official report is to be issued mid-December. During their meeting, Eldamaty told Ahram Online that the delegation highlighted that development and restoration work in Historic Cairo is going slowly and that the ministry should speed it up. They also noted that some edifices neighbouring the monuments have different architectural styles from the monuments, which has a negative impacts on the area's architectural atmosphere. They recommended to redevelop these edifices in a consistent architectural style. Eldamaty said that the delegation also raised concerns on neighbourhood encroachments on the monuments of Historic Cairo and asked for their immediate removal. Eldamaty said he would consider all the recommendations of the UNESCO delegation and meet them very soon in cooperation with all concerned authorities and organisations. For his part, Cairo Governor Galal Saeed said that the governorate has undertaken all the required procedures to remove all encroachments and to demolish all illegal buildings on or near monuments, many of which have been build during the past three years, when security was lacking in the aftermath of the January 2011 revolution. 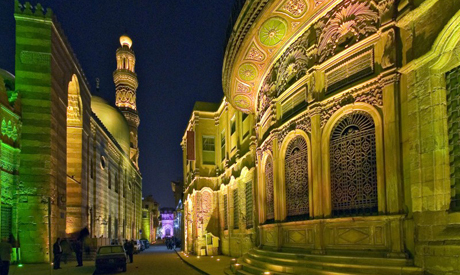 He promised to return Historic Cairo to its original look. Nada Alhassan from the International Council on Monuments and Sites (ICOMOS) highlighted the efforts being exerted by the antquities ministry to preserve monuments in Historic Cairo, but noted that the aims of the Historic Cairo Rehabilitation Project — which are to preserve not only monuments but the area's architectural style and historic atmosphere — are not being fully applied. Alhassan announced that ICOMOS will issue a recommendation to remove all ugly buildings that encroached on the area's monuments, as some of them are threaten historic edifices because they are ramshackle in construction. She also asked the governor to stop any new construction in the area. 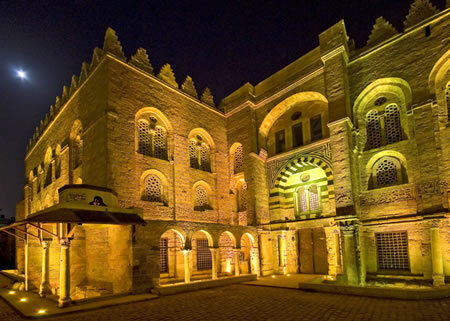 "In the coming five years, a concrete vision of Historic Cairo has to be drawn and new efficient officials appointed that are capable of managing such a great historic site as well as providing required funding to develop the city again, as it was before 2011," Alhassan said. 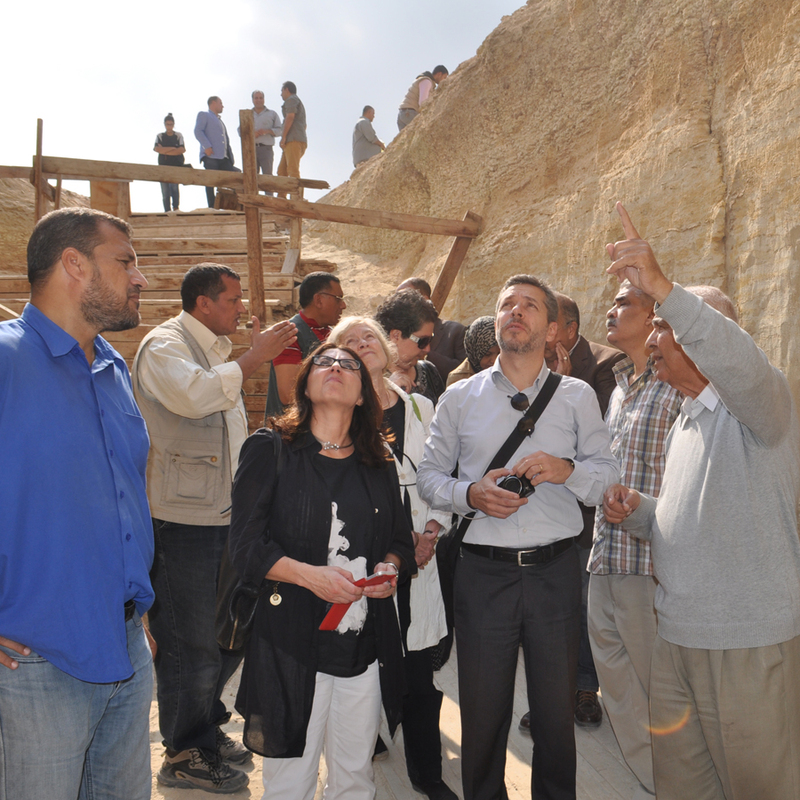 As for Djoser's Step Pyramid, Ahmed Ebeid, supervisor of the international organisations section at the antiquities ministry, said the UNESCO delegation visited the pyramid upon request from Eldamaty. Two months ago, archaeology activists said that restoration work being carried out on the Step Pyramid was ruining the site, and was being executed by a firm that wasn't qualified — or even specialised — in such work. Media reports also circulated that a block of the pyramid's structure had tumbled down. Kamal Wahid, director of Giza antiquities at the ministry, told Ahram Online at that time that the restoration work was utilising the latest technology and had been approved by the ministry, its consultancy bureau, and UNESCO.